Jennifer Petrusis has devoted her practice to advising and representing police departments and public agencies. With extensive experience in civil litigation and knowledge of criminal law and procedure, Jennifer is in the unique position of being able to advise and represent police departments and their members in a variety of contexts. Jennifer splits her practice between being a legal advisor to police departments, and vigorously litigating on behalf of cities, public employees, and peace officers. As a police defense litigator, Jennifer has represented police officers in police liability and civil rights lawsuits alleging excessive force, wrongful death, false arrest, false imprisonment, illegal search and seizure, malicious prosecution, personal injury, and other torts. Additionally, Jennifer’s experience in representing cities and their employees includes lawsuits alleging constitutional rights violations and various allegations of tort liability and damage claims, including inverse condemnation, employment claims, and dangerous condition of public property. Jennifer also regularly advises her police clients regarding policies and procedures, including those regarding new and emerging technologies such as body-worn cameras, automated license plate readers, and long-range acoustic devices. Jennifer represents several police departments in Pitchess and Brady Motions, and assists records staff in responding to various types of document requests, such as Public Records Act requests, subpoenas, criminal discovery requests, and civil discovery requests. Jennifer also regularly files petitions to retain and destroy confiscated deadly weapons and advises property and evidence technicians on various retention and return of property matters. Jennifer is one of the relatively few private civil attorneys with experience in obtaining a gang injunction. Jennifer was part of the team that obtained an injunction on behalf of the City of Monrovia against the activities of two rival criminal street gangs. The injunction prohibits members of the two gangs from publicly congregating together, and from engaging in specified activities, within a three and one-half square mile "Safety Zone" the court designated in parts of Monrovia and adjacent unincorporated areas of Los Angeles County. Jennifer is also a code prosecutor and has represented several cities in administrative, criminal, and civil code enforcement matters including for the Cities of Artesia, Temecula, Mission Viejo, Moorpark, Calimesa, La Mirada, Seal Beach, and Banning. Jennifer represents the police departments of the Cities of Beverly Hills, Banning, Brea, Covina, Fairfield, Indio, Manhattan Beach, Monrovia, San Marino, Seal Beach, Upland, and for the Bob Hope Airport. Additionally, Jennifer provides legal advice and represents the Cities of Agoura Hills, Artesia, Banning, Calimesa, Gardena, Hidden Hills, Highland, Jurupa Valley, La Mirada, Livermore, Moorpark, Norwalk, Rancho Cucamonga, South El Monte, Temecula, Westlake Village, and Yucaipa. 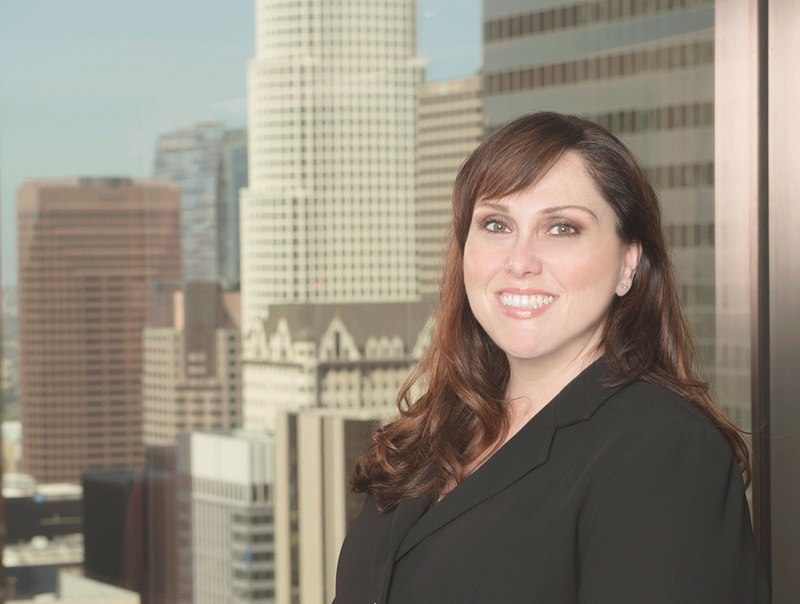 Prior to joining Richards, Watson & Gershon in 2006, Jennifer worked at Nelson & Fulton, a law firm that provides civil defense representation for the Los Angeles County Sheriff’s Department and represents the Sheriff’s Department in Pitchess Motions. Between Nelson & Fulton and Richards, Watson & Gershon, Jennifer has devoted her entire practice of law to representing law enforcement agencies and public agencies, and she has appeared at hundreds of Pitchess and Brady Motion-related hearings. Collender v. City of Brea. Jennifer represented the City of Brea and one of its police officer as second chair trial counsel in connection with an officer involved fatal shooting of an unarmed man. The decedent was alleged to have committed an armed robbery and was reaching towards his pocket when the officer attemped to arrest him. The shooting was captured on video. Plaintiffs claimed that the City defendants used excessive force. The jury deliberated for less than a day and found in favor of defendants. Gang Injunction on behalf of City of Monrovia. Jennifer was part of the team that obtained an injunction on behalf of the City of Monrovia against the activities of two rival criminal street gangs. The injunction prohibits members of the two gangs from publicly congregating together, and from engaging in specified activities, within a three and one-half square mile "Safety Zone" the court designated in parts of Monrovia and adjacent unincorporated areas of Los Angeles County. Jennifer routinely provides training to Police Departments on a variety of subjects, including Pitchess and Brady Motions, the Public Records Act, responding to subpoenas and other document requests, preservation of evidence following a critical incident, and various issues surrounding the retention and return of seized items of property. Event // Have Body Cameras Changed Policing? Richards, Watson & Gershon delivers practical advice and solutions tailored to the unique needs of public entities. Working seamlessly across offices in Los Angeles, San Francisco, Orange County, Temecula and the Central Coast, our dedicated team of experts provides the full scope of public law services. RWG consistently monitors developments that impact our private and public agency clients. Our frequent e-alerts serve to provide our unique insights into these developments.